“PENG PAI” is a chamber performance organize by Ju Percussion Group which combine with more than 100 marimba orchestra players. 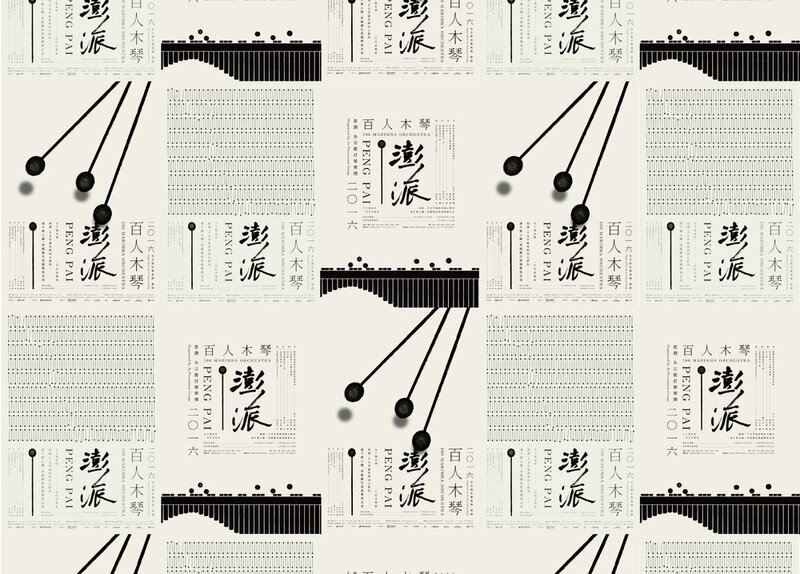 These posters express the beauty of marimba orchestra by focusing on the structure and shape such as the drumstick and the keyboard. 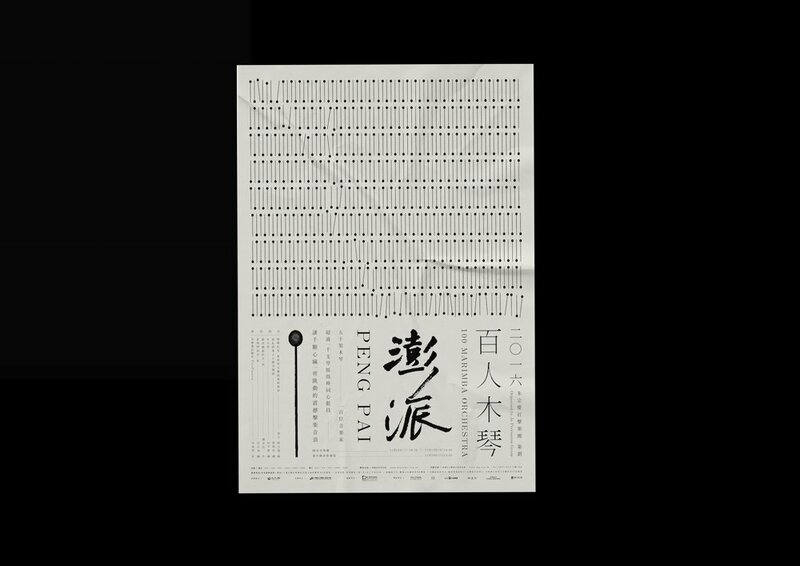 In addition, the design is based on an important concept which is “a successful percussion performance should be peaceful”, so these posters are designed with quiet and organized layout. There are three posters in the series, bring three moments with the movement of the drumstick. The first one is the dynamic moment when the drumstick is tapping, the second one is the moment of the drumstick hitting the marimba orchestra, and the last one is the collection with countless drumsticks. The main visual is compose by the typography with wild brush calligraphy and the detailed serif fonts. 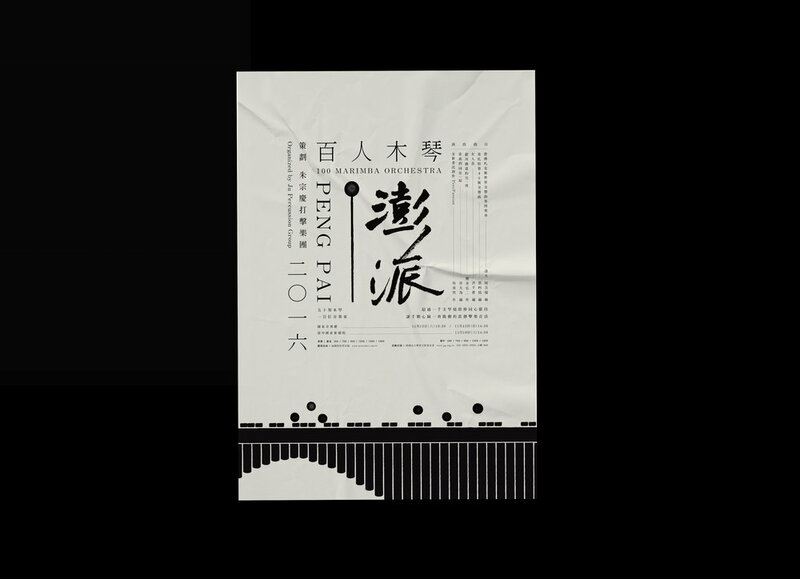 From above, the contrasting typography style shows the soft lyricism to extreme dramatic excitement, express the delicate feeling during the performance.